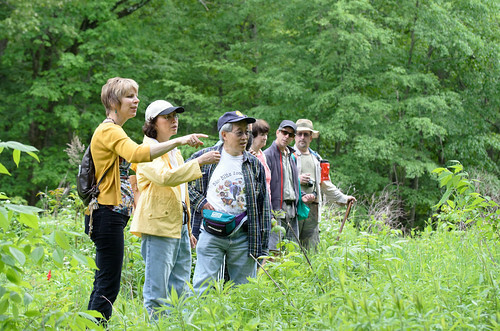 This past Saturday I spent the day in South Mountain Reservation wandering around the 2nd Annual Mayapple Festival. 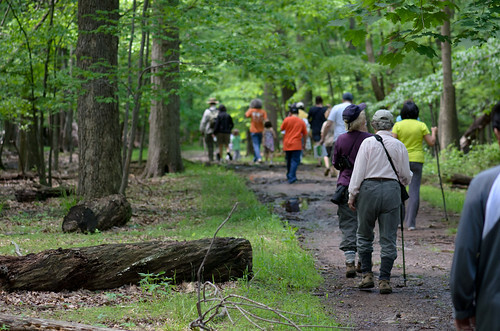 The day featured 3 separate guided hikes through the park, organized around a festival area at Summit Field that included an art show, live music, an educational booth run by the Essex County Environmental Center, and some other informational booths. All in all, a fun day for people of all ages, and some great weather. The morning started with a early hike out to Washington Rock and the overlook to the south at the Watchungs. The walk wandered a bit covering some unofficial trails and looping back along side Crest Drive. Attendance was light, but it made for a nice warmup for the day. 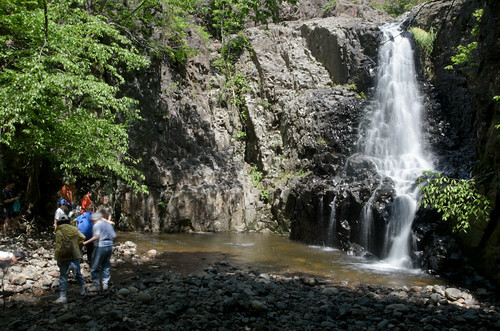 This hour and a half or so, slow paced hike to the falls and back was attended by a nice crew of people. With the falls raging from the recent endless rain it was a great day to go down there. The hike mixed it up between the roads/bridal paths and the red/white falls loop trail with the highlight visiting then walking over the top of the falls. 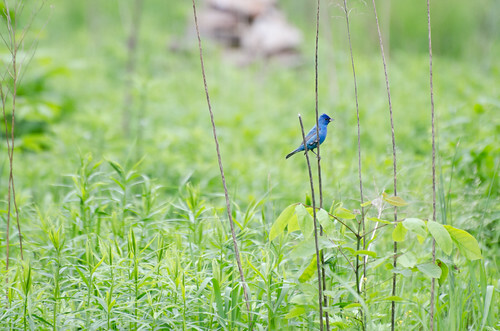 With 2 knowledgable tour guides we wandered the enclosed wildflower preserve learning about the native plant life and doing a little bird (and woodchuck) watching. 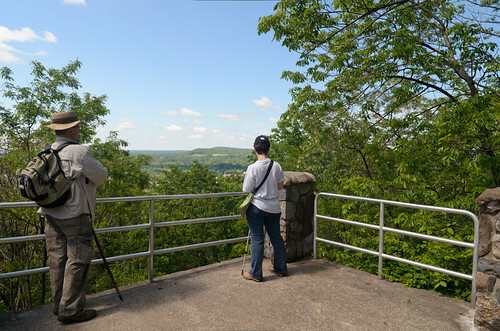 Learn more about South Mountain Reservation at the Hike NJ park page, or at the Conservancy website. You can also visit the Essex County Environmental Center in Roseland, NJ. The photos above can all be seen in this gallery on Flickr. What did you do this past weekend? 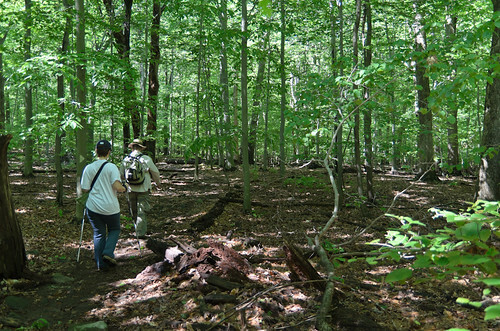 Did you hike the 50 miles of NJ2NY50? Did you hike around High Point or visit a lake? 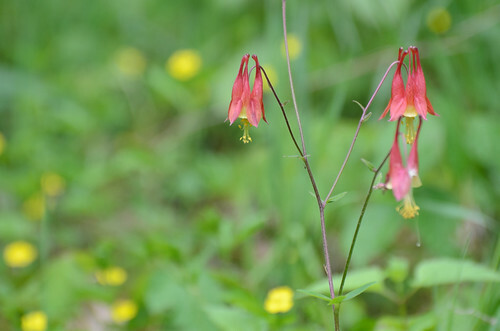 This entry was posted in Event, Trip Report and tagged Essex County, essex county environmental center, mayapple festival, south mountain conservancy, south mountain reservation. Bookmark the permalink.